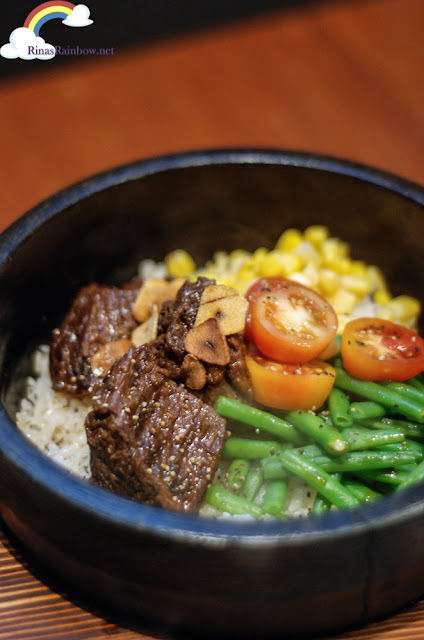 Rina's Rainbow: Ippudo's Spicy Black Ramen and More! It's rainy days like this that make me want to slurp a big hot delicious bowl of ramen! The firmness of the noodles, the broth packed with flavor, the soft aji tamago... Aaaaaargh!!!! I'm killing myself right now! Especially when I remember the new SPICY ramen during my recent trip to Ippudo! The SPICY BLACK Limited Edition!!! 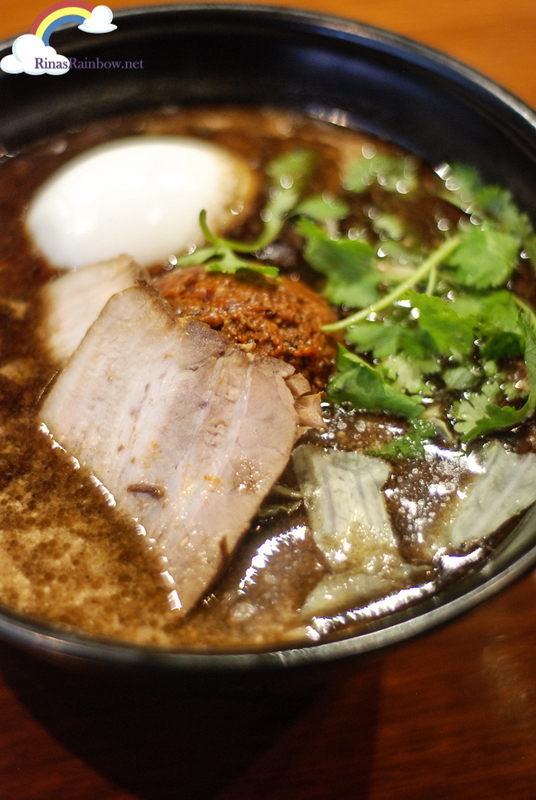 The Spicy Black Limited Edition is Ippudo's newest member of their Ramen clan. 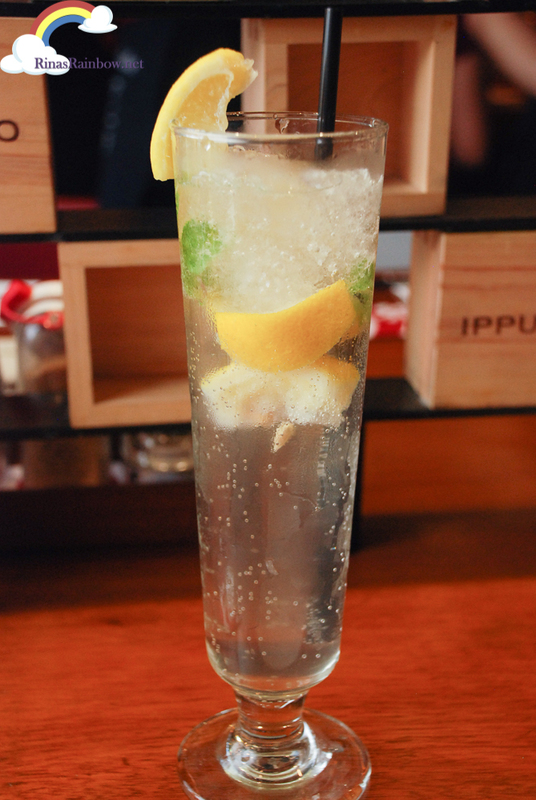 A creation that shows years of innovation by Ippudo's very own renowned chef. Taking inspiration from Singapore's mixed cuisines with Chinese, Indian, and Malaysian influences, this bowl of spicy ramen will really be a big hit for those who like their soups spicy! Now I can't say I have a high tolerance for spicy food. I have moods when I like just a hint of spice or a little bit more. Anyway, our friend Eugene from Hefty Foodie perfectly explained the level of spice of this ramen. It's the highest level of heat that he could eat. Anything more and he won't be able to take it. And that's exactly how I felt! The flavor of the broth, however, is really very tasty, which makes it hard to take just one slurp! Oh and when I ate it together with the aji tamago, it helped calm the heat a bit. 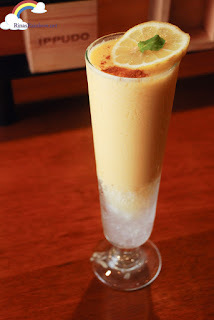 Ippudo also has 2 new refreshing drinks that really go well with the Spicy Black Ramen. The Mango Banana Smoothie (left) and the Lemon Spritzer (right). Since I like Sprite, I liked the Lemon Spritzer more. To me it was more refreshing. Perfect to tame the heat a bit of the Black Ramen. ... Then mix and cook it all together in a stone pot! Yum!!! I like drowning mine with the sauce. It's so good! Perfect to eat for when you have a hangover. Aside from the new Spicy Black and the two new drinks, I also finally got to try the new ramen side kick that everyone has been talking about. 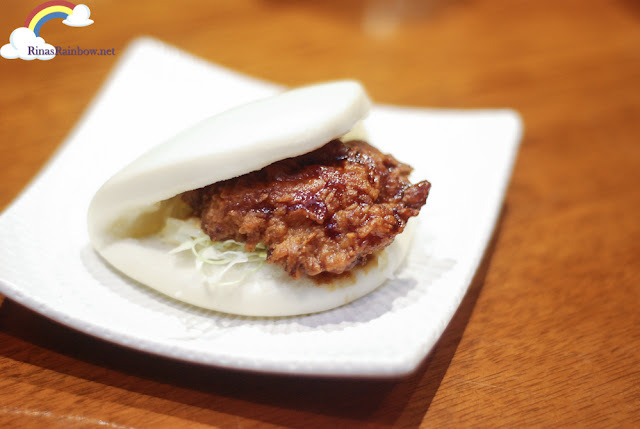 The Fried Chicken Bun!I like this so much better than the Pork Bun. While the chasu gives you a soft, tender, melts-in-your-mouth pork inside the soft bun, I like the texture contrast of this more. Imagine biting into a soft bun, and then suddenly having that sweet and savory crunch of the chicken after! Really delicious!!! 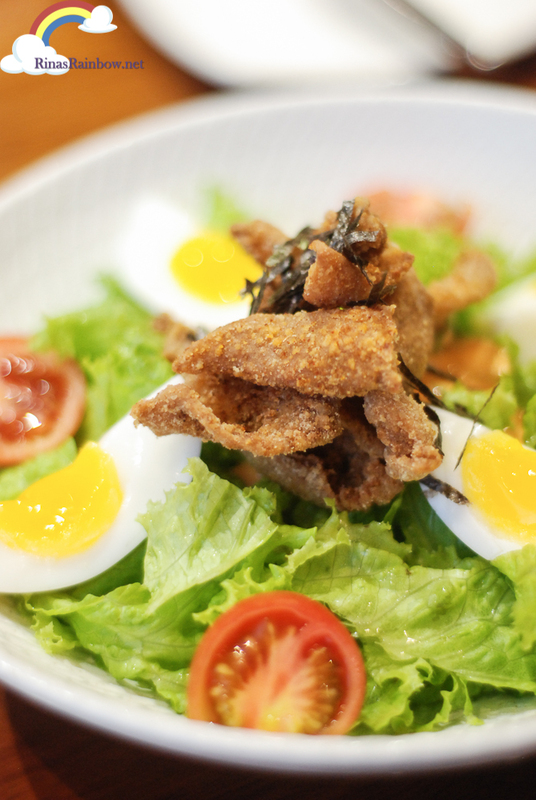 I also really enjoyed the Fried Chicken Skin Salad. Yes, that's right! Chicken skin! Talk about a balanced meal haha! The greens, cherry tomatoes, and aji tamago are mixed together with Shoyu dressing and spicy mayonnaise sauce. My type of salad! 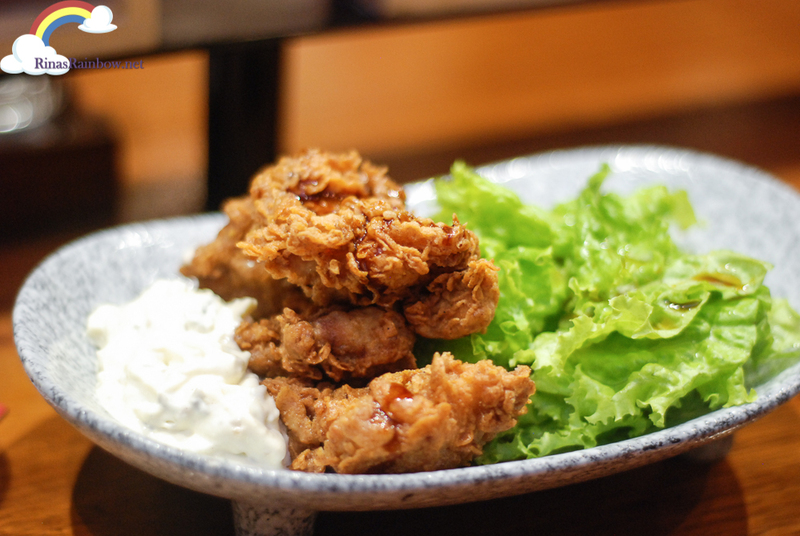 I was also able to try the Nanban Karaage which was also really good. The karaage is very crispy on the outside but really juicy inside. It's served with a sweet sauce and Ippudo's tartar sauce and some greens on the side. I would eat this with steaming white rice. 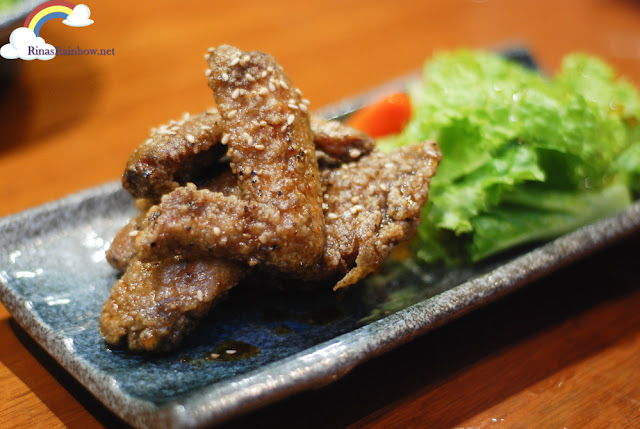 Ippudo's Chicken Wings are also really delicious! A touch of sweet, a dab of salty, a dash of crispy, and a dash of juiciness! 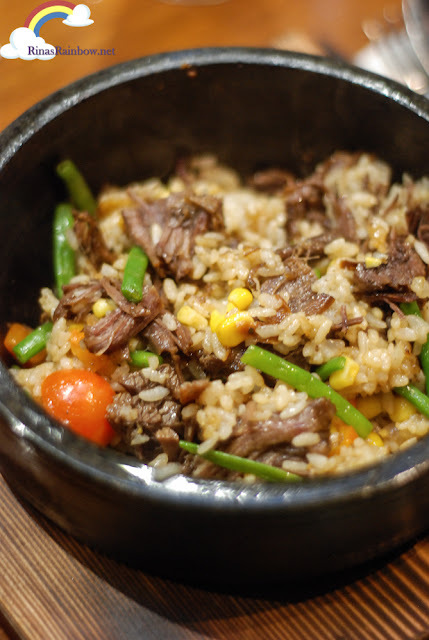 Again, I personally would love to partner this with Japanese rice! I'm not usually a fan of Okonomiyaki, but this one of Ippudo's is good. It looks different than the traditional Okonomiyaki because it's extra special. 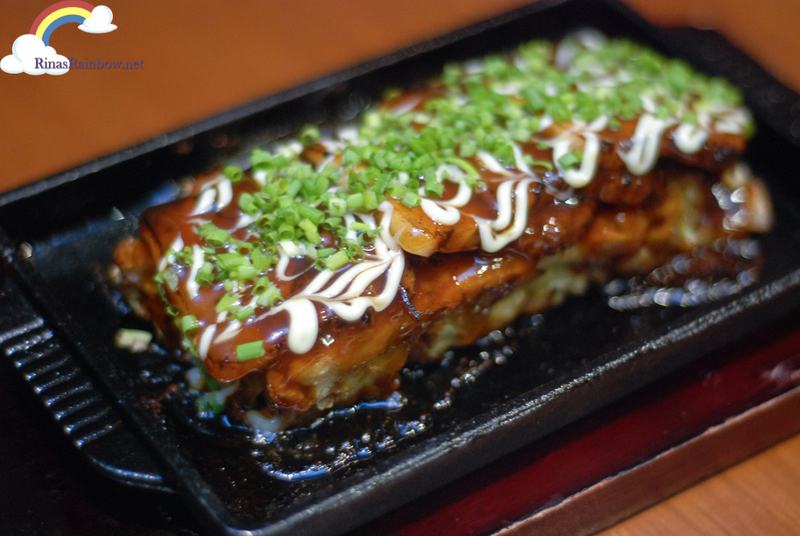 It's consist of Japanese four, egg, yam, drizzled with chunks of chasu with black konnyaku, and of course Okonomiyaki sauce and Japanese mayo. Lots of flavors there! 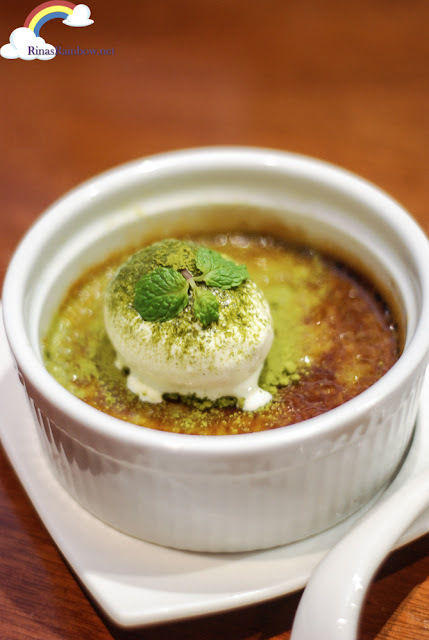 And then for dessert, we had an unusual Creme Brulee. It's Matcha flavored! A Matcha Creme Brulee! It's good! But honestly, I'm not really a super duper fan of matcha-flavored stuff. I prefer to stick to the basic vanilla, chocolate, or custard flavors.